IMPORTANT NOTE: This article was first published in the Tax Journal on 4 October 2013. 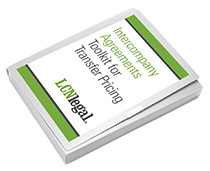 Since then, the content has been substantially updated and revised and now forms part of our Free Briefing on How to Create Effective Intercompany Agreements for Transfer Pricing. This Briefing takes into account the 2017 edition of the OECD’s Transfer Pricing Guidelines, and also answers a number of frequently asked questions. For your free copy of this Briefing, click here. LCN Legal is the leading legal consultancy which helps multinational groups and transfer pricing advisers to create effective intercompany agreements for transfer pricing compliance. We regularly run workshops and seminars, as well as advising on the design, implementation and maintenance of intercompany agreements. If you would like help putting in place intercompany agreements, please call us on +44 (0) 20 3286 8868 or email us at info@lcnlegal.com. Click here for an overview of our services in relation to intercompany agreements. The fundamental requirement of intercompany agreements is clearly that they are consistent with the transfer pricing functional analysis. They should also differentiate the supply from other comparables and match the legal ownership of relevant assets. In addition, they should reflect arrangements which the directors of all participating entities can properly approve. Long-form contracts are rarely appropriate. Within a larger group, the most efficient approach can be to prepare short ‘contract schedules’, which are signed on a bilateral basis between each supplier and recipient, set out the key variables and refer to ‘standard terms’, which are common to all supplies of that nature made within the group. Most transfer pricing professionals agree that intercompany agreements can play an important role in supporting a multinational group’s transfer pricing policies. They enable the tax function to set the starting point for discussions with local tax authorities as regards what supplies are made within the group, and on what terms. In some jurisdictions, post-year end ‘true-up’ type adjustments are only permitted if they are made in accordance with a legal agreement in force at the beginning of the relevant year. Despite this, many groups do not have a consistent approach for creating and maintaining intercompany agreements. In some cases, no intercompany agreements at all are put in place. In other cases, the agreements are heavily influenced by commercial contracts used with unconnected third parties – with the result that they are overly long, difficult to review quickly and contain contractual procedures which are at best unused, and at worst directly in conflict with the way arrangements are administered in practice. This article is intended to provide a guide to creating intercompany agreements with the smallest investment of time and cost, which enhance rather than undermine the group’s transfer pricing policies. It is worthwhile being clear about the basic requirements of intercompany agreements. In relation to any intra-group supply, the relevant intercompany agreements obviously need to be consistent with the group’s transfer pricing policies as regards the nature of the supply, the terms of supply (including the allocation of risk) and the pricing of the supply. They need to appropriately differentiate the terms of the supply from other reference points. They also need to be consistent with the reality of how the arrangements are operated and managed in practice. Complicated change control or reporting provisions which have been imported from an arms-length commercial contract will do nothing to enhance a group’s transfer pricing position if they are not actually followed. The terms of the intercompany agreements must be consistent with the legal and beneficial ownership of any relevant assets. For example, an intra-group agreement where a company purports to grant a licence over intellectual property which it does not actually own, may be likely to create confusion rather than promoting the group’s transfer pricing objectives. The legal agreements should reflect an arrangement which the directors of each participating company can properly approve as promoting the interests of that particular company. (Arrangements which give rise to ongoing losses in a particular entity can be problematic.) In many ways, this basic principle – which focuses on the statutory duties of directors – can be seen in a legal context as the wider principle of alignment of form and substance. 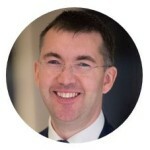 See, for example, action point 9 in the OECD’s Action Plan on Base Erosion and Profit Shifting issued on 19 July 2013, which sets the following objective: ‘Develop rules to prevent BEPS by transferring risks among, or allocating excessive capital to, group members. This will involve adopting transfer pricing rules or special measures to ensure that inappropriate returns will not accrue to an entity solely because it has contractually assumed risks or has provided capital.’ The contractual assumption of risks by a company which does not have the economic substance to bear them is unlikely to be an arrangement that the company’s directors can properly approve. Finally, the intercompany agreements must be capable of being legally binding. From an English legal perspective, this is not difficult to achieve, since there are few formal requirements. (Notable exceptions include land conveyances, leases, guarantees and documents granting powers of attorney.) However, the key terms of the arrangement must have ‘legal certainty’. This principally applies to the description of what is being supplied and the price of the supply, so those provisions must be objectively ascertainable from the terms of the agreement. * hybrid arrangements – reflecting a combination of the above approaches. Although global agreements may be simpler to implement, they have the disadvantage that it is more difficult to accommodate the specific requirements of local jurisdictions without disclosing the ‘special arrangement’ to all the relevant tax authorities. * a series of short ‘contract schedules’ which are signed between P and S1, P and S2, etc. These contract schedules would set out the particular pricing and other terms which apply for each individual subsidiary, and any special terms which override the standard terms. Each contract schedule would refer to the standard terms and incorporate them into the agreement by reference, so that it is not necessary to set out the standard terms themselves in full each time. This approach has a number of advantages. The actual document which needs to be signed is kept short, usually two to three pages. The standard terms do not change. The arrangements as a whole are easier to manage and update, because the commercial variables are set out upfront in the contract schedule, rather than being buried in an appendix to a long agreement. And, because the actual contracts created are bilateral, it is easier to accommodate variations for subsidiaries in particular jurisdictions, and to manage the confidentiality of those arrangements. Where different legal entities are under common control, there is no need for the legal agreements between them to apply the same level as detail as is commonly used with unconnected third parties. The objective should be to document the key terms as simply as possible, so as to provide an appropriate record both for corporate governance and for tax purposes. In general, it is therefore not helpful to use the content of commercially negotiated agreements in an intra-group context. The following checklist can be used for reviewing an intercompany agreement, whether it is a new arrangement being put in place or an existing agreement that may need to be updated. 1. Parties: Are the parties correctly described? It is generally better to use company registration numbers in addition to the company names, as names may be more likely to change. * Limitations on liability: the presence or absence of any limitations on the recourse of one party against the other. 3. Term and termination: Check the proposed commencement date for the agreement, and any termination date or provisions for terminating the arrangements on notice. Pay particular attention to any attempt to ‘backdate’ arrangements (see below). Review the provisions for terminating the arrangements on notice. Notice periods should achieve an appropriate balance between allowing the group flexibility to vary the structure in the future, while also reflecting arrangements which are commercially justifiable for all participating entities (see further item 10 below). 4. Legal ownership of pre-existing intellectual property: If the agreement deals with or relies on pre-existing intellectual property (such as rights in technology or trademarks), ascertain where the legal and beneficial ownership of that intellectual property actually resides. Make sure that the terms of the agreement are consistent with that position. 5. Legal ownership of intellectual property created in the performance of the agreement: Check that this is clearly stated, and that the identity of the owner is consistent with the group’s intellectual property objectives. 6. Vertical consistency: Where the agreement forms part of a chain of supplies of goods, services or licences, check that the draft agreement is consistent with what is happening in the chain above and below the agreement. This includes the ultimate supply of goods, services or IP licences to customers where relevant. 7. Horizontal consistency: Where the pricing of the supply being made under the agreement needs to be aligned to, or differentiated from, other similar supplies, make sure that the terms of the agreement are appropriately similar or differentiated, as the case may be. This applies particularly to internal comparables. 8. Governing law and formal requirements:Check that the agreement contains a clear choice of law provision, and that legal advice has been obtained on any areas of uncertainty as to formal requirements. 9. Administrative and reporting provisions: Check that any administrative provisions, such as change control clauses or pre- approval of budgets, matches what actually happens in practice. 10. Corporate benefit: Check that the arrangements as a whole make commercial sense from the individual perspectives of each of the participating entities. (or equivalent officers) of each individual entity participating in the arrangements. A paper trail indicating that directors or signatories simply signed documents without question, is clearly unhelpful. From the perspective of a group company in the UK which is proposing to enter into an intercompany agreement, that agreement may well be material in the context of the company’s business. The articles of association of such a company would typically provide that the company is to be managed by its directors, meaning the directors collectively acting by board resolution. In that case, it would be appropriate to consider the terms of the agreement arrangement at a board meeting, unless the board has already granted delegated authority to an individual director or a committee of directors, and scope of the authority granted covers this type of arrangement. For groups with very large numbers of companies participating in intercompany agreements, it may be beneficial to arrange for the actual execution of the intercompany agreements to take place by electronic signature. A number of proprietary solutions for this are available at relatively low cost, and do not require software to be installed on the signatories’ computers. Those solutions often involve circulating a link by email to the relevant signatories, who can then either authenticate the signature online, or can sign and fax a hard copy. The main advantage of using this type of system is that it provides a means of tracking which documents have been signed, and PDF copies of the signed documents are produced automatically. One of the most common legal issues which arises in the context of intercompany agreements is whether a particular agreement can be backdated. The short answer is ‘no’. Giving a document a date which is earlier than the date when it was actually signed would almost certainly constitute fraud. Clearly, the ideal position is to put in place the relevant intercompany agreement in advance, as with any commercial arrangement. The options available here depends on the proposed terms of the agreement, and whether it can be said that the relevant arrangements are already in operation. One possible scenario is that the relevant supply arrangements are already in operation, but they just have not been documented yet. For example, head office services may have been supplied from a particular historic date, as reflected in the functional analysis. In this situation, it may be possible to create a document after the event which recites what actually happened and which records the key terms of the supply. The document should be dated when it is actually signed, but it can refer to the historic effective date of the transaction. This approach may be harder to justify where the arrangements are unusual or where a particular contractual risk profile is intended, which is not clearly evidenced by the conduct of the parties – such as limited risk distribution arrangements. In other cases, it may not be possible to say that the relevant arrangement has already been in operation, but it may still be desirable to achieve a ‘backdated’ effect. In this situation, it may be possible to put in place an agreement now, with a historic ‘effective date’. For example, a group may want to move from a distribution model for the sale of goods (where local subsidiaries hold or acquire legal title to the relevant products and sell them on to customers, bearing commercial risk) to an agency model (where local subsidiaries act only as introduction agents, and take no credit risk or other commercial risks in the sale of the products). The seller/principal may agree with the local sales companies to treat the arrangements as they had been in place as from the previous year end. This could involve putting in place agency agreements now, which are dated when they are actually signed. The agreements could specify, among other things, that revenue and risk would be apportioned by reference to the historic effective date, with adjusting payments being made accordingly. This type of arrangement would not bind third parties, but it may be effective from an accounting and tax perspective depending on the time which has elapsed since the intended historic effective date. Whenever any form of backdating is proposed, it is important to review the facts carefully. Additional due diligence should be considered in order to manage the risk of any unintended liabilities being triggered, and to make sure that the legal effect of the relevant arrangements is as intended. From a legal perspective, a permanent establishment is not a separate entity from its ‘parent’ or head office. It may be subject to local registration requirements (for example with Companies House), but it is still the same entity. A person cannot enter into a contract with itself, and therefore a legal agreement between a ‘parent’ and its own branch would be a nullity. From a tax perspective, it may nevertheless be useful to allocate supplies and profits between the head office and the establishment. In order to document that, an appropriate approach would be to refer to the key terms in a memorandum (which may be signed), rather than attempting to support the fiction that a contract has been created. * Establish what template intercompany agreements are currently used within the group, and whether they need to be updated. * Consider which intra-group supplies would most benefit from intercompany agreements to support the group’s transfer pricing objectives. * Choose the appropriate contracting model (e.g. global agreements, bilateral agreements, hybrid, contract schedule / standard terms). * Establish clear accountabilities for creating and maintaining appropriate templates, arranging signatures and archiving signed intercompany agreements. * Exercise caution as regards proposals to ‘backdate’ arrangements.